The year 1953 will forever be remembered as the time when the homebuilding movement really started. It was also then when Paul Poberezny founded the Experimental Aircraft Association from his home in Wisconsin and designed the Pober Junior Ace. The Ace launched an Industry when plans for it were published in Popular Mechanics and the EAA grew into a organisation that today boast more than 170,000 members in more than 100 countries. 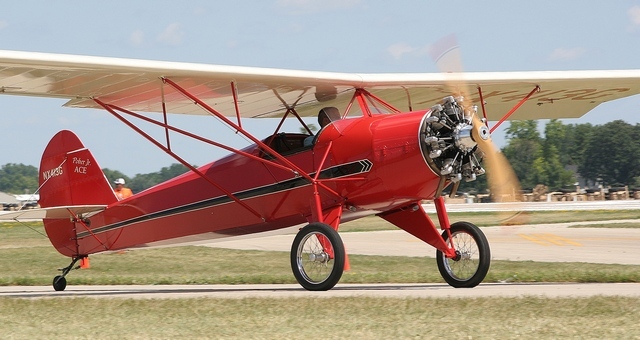 The EAA annual convention held in Oshkosh, Wisconsin attracts in excess of 500,000 aviation fanatics from all over the world and as many as 14,000 visiting aircraft. Paul Howard Poberezny was born on the 14th September 1921 in Leavenworth County in the State of Kansas in the USA to Peter and Jettie Poberezny. Paul's love and life long devotion to aviation started from the day he was able to say "airplane". As a youngster he designed and built model airplanes and when he was in high school his history teacher encouraged his interest in aviation by giving gave him a much neglected and battered Waco glider which Paul had restored and by the time he was sixteen he had taught himself to fly. Over the next year he made more than 2,000 flights in the trusted Waco. In 1938 and at seventeen of legal age to obtain his pilots license he soloed in a 5 cylinder, 70 hp 1935 Porterfield. 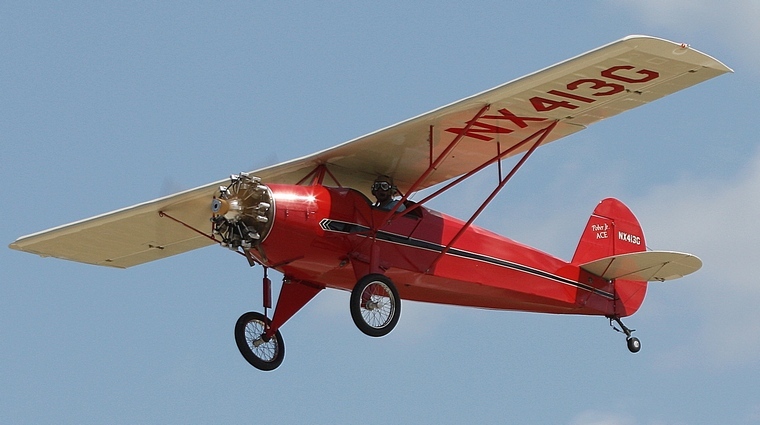 Peter, having recognised his son's passion for flying and having saved up $250, a small fortune in those days, bought Paul his first airplane, a 1928 American Eagle. Paul spend the next 30 years in United States Air Force during which time he was a pilot, test pilot and combat veteran of both World War II and Korea, retiring in 1970 with the rank of Lieutenant Colonel. He is the only person to have received all seven aviation wings the USAAF had to offer. He served during his career as a glider pilot, service pilot, rated pilot, liaison pilot, senior pilot, Army aviator and command pilot and has flown amongst others the Bell P39 Aircobra, Curtis P40 Warhawk, Republic P47 Thunderbolt, Vought F4U Corsair, North American P51 Mustang and P64. Doing duty in the left seat he flew the Boeing B17 Flying Fortress, Curtis C46 Commando and numerous other military aircraft. At last count Paul has flown nearly 500 different types of aircraft, including more than 170 experimental homebuilt aircraft and has amassed a mindboggling 30,000 hours. For most people retirement means just that, for Paul however it meant devoting his time and energies to the organisation he had founded seventeen years earlier. In 1989 he retired as President but remained as Chairman until 2009. Tom, Paul's son who had been Chairman of the EAA since 1977 took up the reins and he in turned served until September 2010 when Rod Hightower was elected as President. 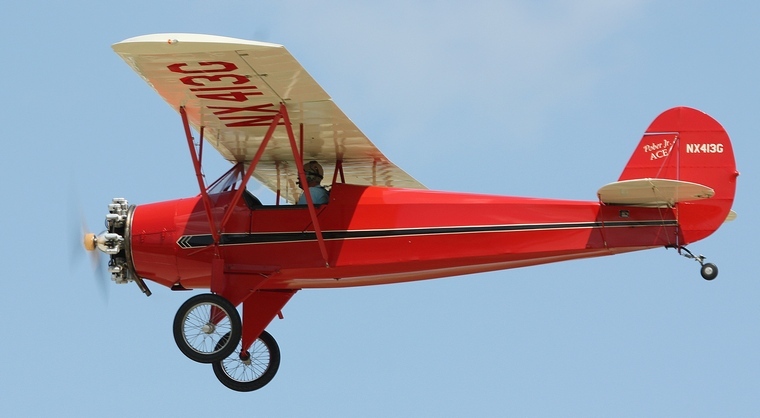 Paul somehow has also found time to indulge in his passion for designing aircraft and besides the Pober Junior Ace some of the fifteen aircraft that he designed are the "new" Baby Ace, Super Ace, Pober Sport, Pober Pixie, Acro Sport and Acro Sport II. Paul's Pober Junior Ace made its first flight with Captain Bud Judy at the controls and completed it successfully. The Ace was easy to build, lightweight, fun to fly and required minimal maintenance and its nearly 34 foot wingspan and Clark Y airfoil made it docile in the stall and its short field capabilities made the Ace the ideal aircraft for the homebuilder. The Ace had an indicated stall speed with one person on board of 36 miles per hour whilst cruising speed with the Continental C-85-8 was a little over 80 mph, maximum speed being 130mph. Its open cockpit sat two side by side and the fuselage is of chromoly steel tube, the wings spares and ribs are constructed of spruce. It has an empty weight of 750 pounds and gross capacity of 1,320 pounds, carries 12 gallons of fuel and has a range of 250 nautical miles. The Ace can take off in 350 foot and land in 450 and climbs at 500 foot per minute. In 2009, the year when Paul retired as Chairman of the EAA Tim Gallagher of Poplar Grove, Illinois flew his Pober Junior Ace, NX413G to EAA AirVenture, Oshkosh and flew home with the Bronze Lindy for the best plans-built aircraft, a well deserved tribute to Paul Poberezny. When Tim built the airplane he kept some components from the Pober plans, added others from the original Corben Ace and came up with some of his own. What set Tim's Ace apart from the others is its 110hp 2800 cc Rotec R2800 seven cylinder radial four stroke engine designed and built by brothers Matthew and Paul Chernikeeff of Braeside Australia. The Rotec uses 14 motorcycle spark plugs, has a dry weight of 102Kg, burns 100LL avgas but can use 98 octane mogas and sip 22 liter per hour. Tim, who has invested almost $40,000 in his Ace, has combined the romance of the bygone barnstormers with the modern conveniences of a day-to-day airplane. He describes his Junior Ace as "an open-cockpit adventure machine that is a hoot to fly around in" and that is precisely what Paul Poberezny set out to when he designed the Ace fifty six years ago. Paul passed away just a month after having visited EAA AirVenture 2013. His legacy will however live for ever.